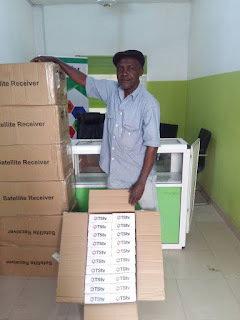 When we all think that TSTv will disappoint Nigerians again with their April's 1st date, they have surprised us and people are already picking up their Sassy decoders. 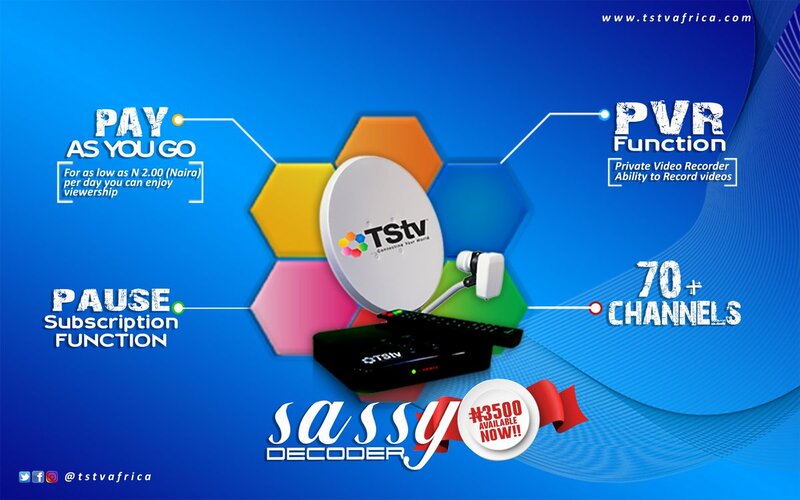 TSTV Sassy decoder that was scheduled to go on Sale on the 1st of April has already begun. People thought that it was just an April fool's joke as they have disappointed Nigerians so many times. 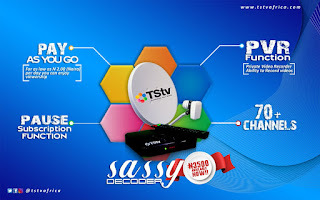 TStv Sassy decoder is now available in all states in Nigeria and people are already buying theirs at the sum of N3,500 (with the complete package). You can contact the dealer available in your state of residence for the pickup. Visit Here for the super dealers in your state. Currently, people in Owerri, Lagos and Abuja has already gotten theirs at the sum of N3,500. The decoder has PVR function, Pause subscription, and contains upto 70+ channels. To read more about the new Sassy decoder, kindly go here. Those of you that has been enjoying the free to air channels from TSTV, it might be cancelled as the decoder is now available for pick up. For now, we have no idea when Dexterity decoder will be available. If you have gotten yours or know anyone that has gotten theirs, kindly let us know in the comment box below. Happy to hear this, but I would like to know the difference between this sassy decoder and the dexterity decoder? Dexterity comes with the free 20GB data + 200 Channels but won’t be on sale for now. Ah, but that was the main attraction point. So no free mb on this one? nawa o. How about the sport channels, will this one be showing premier league? Check their channel list for that. Wait until there is a dealer. Wow this is good and a nice one, TSTV you are welcome on board, we hope to see you excelling.